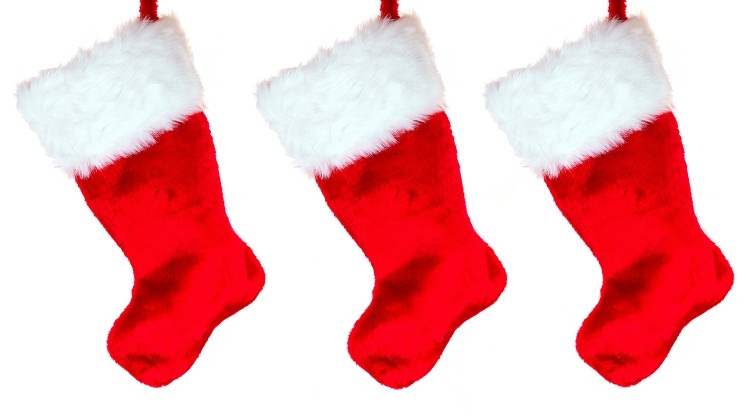 Even if you already have most of your Christmas shopping done, you may still have a few stockings left to fill. Wondering what you should buy to stuff in those socks? Grab a great deal on your final gifts by using this collection of 10 affordable presents as a guide to stocking stuffers that most of those on your list are sure to love. Candy may be synonymous with Valentine’s Day, but it’s an ideal gift idea for Christmas, too. Whether it’s a chocolate bar or a box of traditional candy canes, candy can be a low-cost purchase that will also be well-received by gift recipients who have a sweet tooth. Not only are key chains the perfect size to fit in a stocking, they’re also affordable – many are available for less than $10, or even less than $5. Make your gift even more meaningful by selecting a key chain that has a special significance behind it. Gift a different one each year to make key chain giving and collecting a tradition. Whether the receiver of your stuffed holiday stocking is young or young at heart, art supplies can be a useful and inexpensive gift. Consider affordable items such as pens, crayons, notepads and coloring books. If your intended recipient is a child, these interactive stocking stuffers can provide hours of entertainment throughout your family Christmas gathering. For items that are more practical than they are entertaining, you can’t go wrong with necessities. Hygiene products such as toothpaste, floss and deodorant can all be relatively inexpensive. Plus, since they’re useful for all types of people, you won’t have to worry about picking a present that misses the mark. Make your stocking fun by adding some toys to the mix. Slinkies in particular are a beloved play toy. Plus, standard versions of this fascinating toy are available for less than $10, or even less than $5. Thus, they’ll help take up space in your stocking without breaking the bank. Keeping with the lighthearted theme, try adding a small stuffed animal to a stocking – especially one meant for a child. With so many varieties available, you’re sure to find one that will fit the recipient. Plus, this nonbreakable gift won’t get ruined in the event the stocking gets shaken up or tossed around. Action figures can be expensive, but not all of them are. Small, affordable action figures may be just the item the recipient of your stocking is looking for. If you know some of the gift receiver’s favorite TV show, movie or comic book superheroes, try finding an action figure of one of these characters. What could be more fitting than a pair of stockings within a stocking? Not only can socks be affordable gifts – they’re also available in a wide assortment of colors and designs. Plus, easy one-size-fits-all varieties of these cozy, cold weather accessories eliminate the guesswork from shopping. For a touch of festivity, add an ornament to the collection of gifts within the stocking you’re assembling. This is a present that can be used right away and added to the Christmas tree. Or, even if the recipient of your stocking doesn’t leave his or her tree up for very long after Christmas, the new ornament could make the perfect addition to next year’s holiday decorations. They made our list of affordable gift ideas, but gift cards don’t have to be wrapped under the tree or placed in greeting cards. They can be stuffed in stockings, too. Gift cards are available in varying increments, which means they can be both affordable and practical.